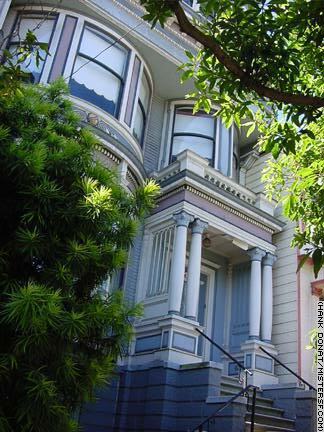 Acclaimed novelist and poet Kay Boyle lived in this house at 419 Frederick Street in the 1970s when she taught at San Francisco State College. American-born Boyle left the U.S. and lived in Paris during the years between World War I and WWII. She earned a reputation as one of the greatest writers of that era. Boyle's novels include Plagued by the Nightingale and Year Before Last. She was also celebrated for her story collections; Wedding Day, and First Lover, as well as for her poetry; A Glad Day and Selected Poems.